In the past I have shared content about the existing trend that drives many customers to search for hotels with a small, intimate “local” feel over big uniform chain hotels. The idea is that the purchase of local products, from local retailers, is to be preferred over purchasing industrial globally produced goods. This trend has been influenced by the worldwide economic situation and by environmental and moral ideals. In our global economy, purchasing goods created by distant markets (i.e. China) is often the cheapest alternative. So what is the rational to buying local goods? The “Buy Local” advocates prefer to supply jobs to the local economy, or to make sure the products they buy are under strict supervision regarding labor laws and the quality of raw materials (this is especially true for food). From an ecological perspective, it is clear why local manufacturing is preferred over goods that have to be shipped a great distance – there is more waste of fuel, pollution and packing materials. The advocates of the “Buy Local” doctrine are often educated, young and ecologically and socially conscience – this is the profile of today’s trend setters. Therefore, this doctrine has now become a fashion. Large chains – OUT. Local farmers market – IN. You are probably asking – what does this have to do with the hotel business? Well, the buy local trend has reached hotels as well. It translates as a trend towards smaller hotels, that are not part of a chain, and are locally owned. These hotels give their guests an intimate service experience and make them feel they are part of the place they are visiting. Often, the room price alone does little to create a positive assessment of a hotel: satisfied, loyal customers are created through the collection of experiences they accumulate during their stay. Guests at local hotels expect to have an authentic, original experience influenced by the location of the hotel. We are seeing more and more hotels strive to create a link to the local community and give guests a local experience by purchasing food supplies from local markets, or offering a seasonal menu. We are all so used to seeing unified menus in hotel lobbies and room service all over the world that being introduced to local cuisine can be a significant improvement. We are also seeing hotels creating partnerships with local businesses and community groups: for example by hosting community events, designing the hotel to fit the neighborhood “vibe” and planning the event schedule to include local events. 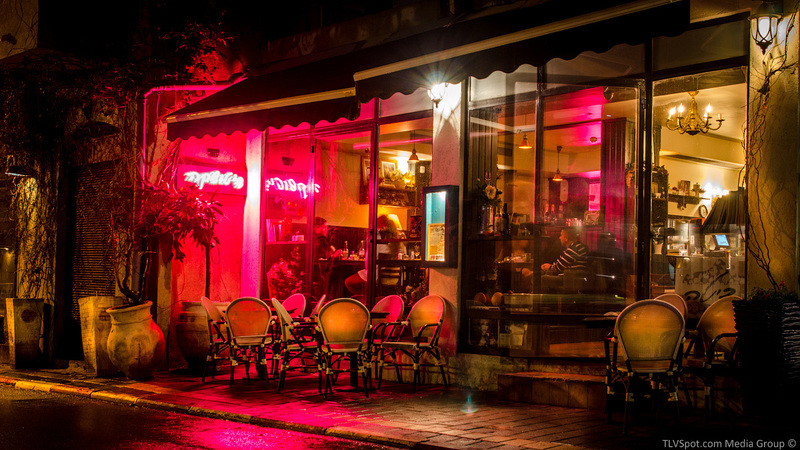 All these create a unique experience and also increase the customer base to the neighborhood as well – suddenly locals are interested in dining in hotel restaurants or hanging out at the bar. Hi-Matic Hotel, Paris. 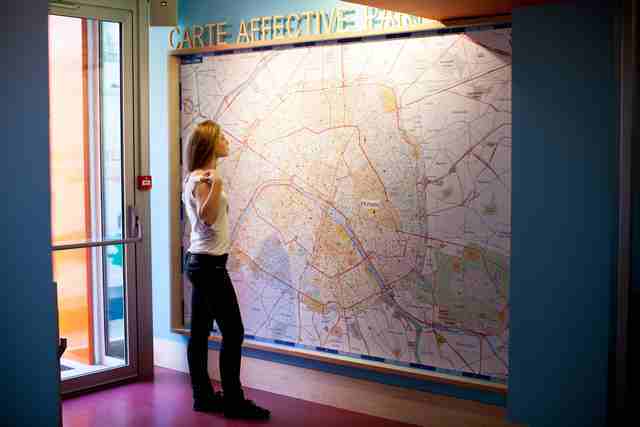 A large map mounted on the lobby wall helps guests navigate the city. It is also a gathering point for guests and a good place to meet new people and share your experiences. This hotel is centrally located in Madrid, allowing easy access to the historic part of the city as well as great shopping, within walking distance from cultural and historic sites. 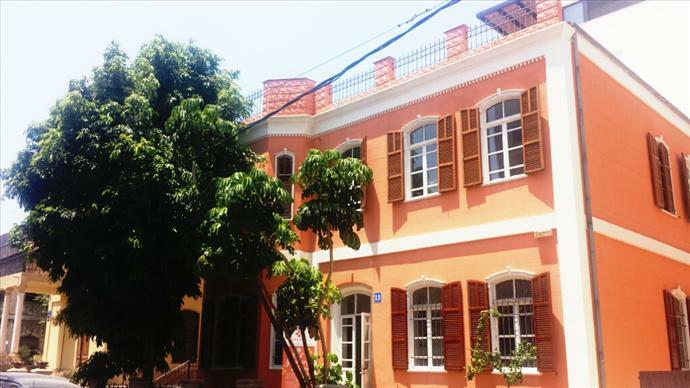 The building dates to the 19th Century, and has been completely renovated. The hotel has 37 rooms of various size, each one with its unique design. All rooms have modern, clean look with touches of retro thrown in. Price: 77-127 Euro. Depending on the room and the season. 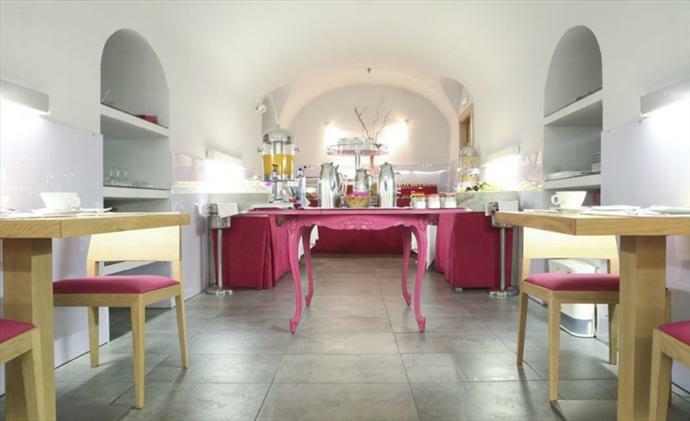 Hi-Matic Hotel, Paris: Guest lounge that is used for serving breakfast, work or social gatherings. 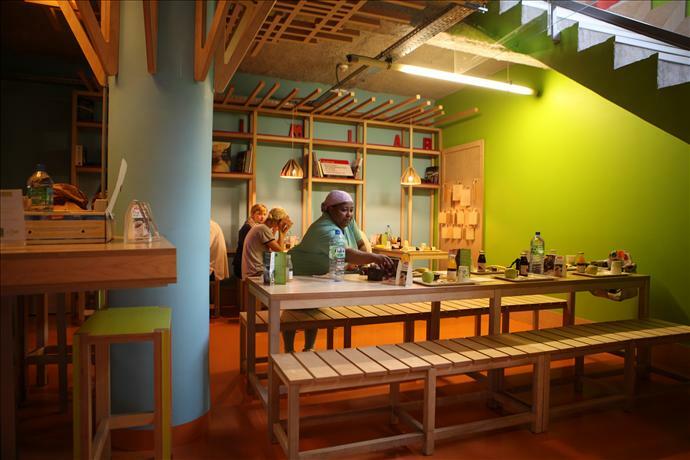 Hi-Matic hotel is located in Paris’s stylish Bastille, with plenty of restaurants, organic stores, concepts stores, specialized book shops in the area. Young designers meet here, young chefs open their restaurants, and at night you can visit the neighborhood’s great bars. Hi-Matic is an ecological hotel, furnished and supplied with recyclable products that have been locally produced and can prove fair trade. It serves an organic breakfast and there is a vending machine for organic snacks with recyclable wrappers in the lobby. The room design is eclectic and colorful. Perfect for the young or young at heart. Price: 85-135 Euros, depending on room type. 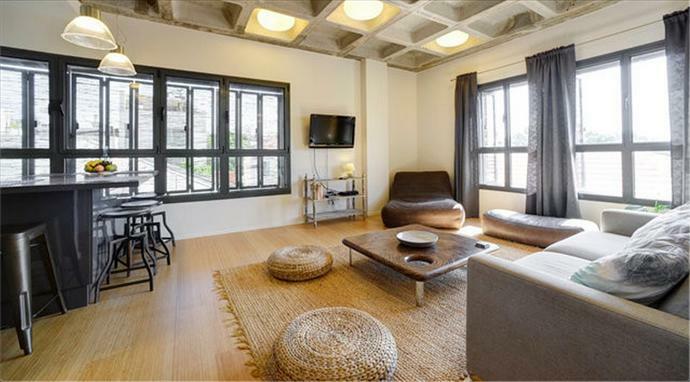 Lily & Bloom’s luxury suites are located in a beautiful historic building on Lilienblum Street in Tel-Aviv, on the border of picturesque Neveh-Zedek neighborhood. The complex has three furnished suites, with everything you need to feel at home: from towels to cooking utensils, hair dryer and coffee machine. Each apartment is around 80 sqm. And has 2 bedrooms and a large living room with kitchen. Each one is individually designed in a warm homey style. Available for a few days or for several months. The Lily & Bloom complex also has several treatment rooms where guests can enjoy a variety of holistic treatments for special rates. Price: $180-$320, depending on season and length of stay.